Thomas McCrie was born in Duns in the year 1772 in a house long since disappeared situated somewhere on the south west of Duns Law. His birth would not seem to be recorded in the Duns Parish registers but this in itself is not too surprising as the family were strict adherents of the Anti-burger Secession Church and the Parish records are essentially those of the Church of Scotland although birth and marriage entries of other persuasions do sometimes appear. Unfortunately the records of the Anti-Burgher Church which was situated at 53 Easter Street (formerly the Regal Cinema now modern housing) do not appear to have survived. There is however in the Old Parish records recorded the birth of one Margaret McCrie on 15th. October 1778 (parents Thomas McCrie and Mary Hood) who may have been a sister or a cousin. In the Dunse Barony Records of 1776 a Thomas McCrie, weaver, is appointed Bourlawman (an officer appointed by the Trade Guilds to enforce rules and regulations) and a James McCrie also a weaver is similarly appointed in 1784. The above may or may not relate directly as it is also recorded, without sources stated, that his father was a manufacturer and merchant in Dunse and that Thomas was the eldest of four sons and three daughters. Whatever after schooling in Dunse, McCrie at the age of 16 went up to Edinburgh University studying theology but at the same time eking out a living as a schoolmaster. In 1795 at the age of 23 he was licensed to be a preacher by the Associate Presbytery of Kelso and quickly found a position as second minister in the Potter Row Church in Edinburgh. Shortly afterwards he met and on 24th. December 1796 at Woodhall in the Parish of Innerwick in East Lothian married Janet Dickson, daughter of a farmer from Swinton. The marriage entry records his surname as Mackree although the marginal note records it as ‘McCree’. McCrie proved a very spirited preacher and the number of his congregation rapidly increased. Around this time he also undertook a spiritual tour of Orkney where he made many converts. “The expense of living has indeed been increasing for some time past; but the incomes of trades people has not increased in proportion; and as most of you are of that description I don’t consider myself to make any increase in demand upon you". Honours even. Shortly afterwards as wage levels generally continued to fall he went further and offered to accept a reduction in his stipend which however the Congregation refused to hear of. 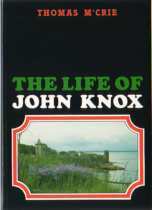 An account of the concluding part of the life and death of that illustrious man, John Knox. A Memoir of Mr. John Murray, minister of Leith and Dunfermline at the beginning of the 17th. century. A Sketch of the Progress of the Reformation in Spain with an account of the Spanish Protestant Martyrs. The suppression of the Reformation in Spain. The life of Dr. Andrew Rivet, the French Protestant minister. The life of Patrick Hamilton. The life of Francis Lambert of Avignon. The life of Alexander Henderson. These articles met with much acclaim but circulation of the Magazine was limited and McCrie was persuaded to write a series of detailed biographies of the Scottish Reformers which he undertook to do starting with John Knox. To write such a biography at all at this time must have been a challenge indeed but particularly so for someone in McCrie’s position with limited income and requiring at the same time to keep down a very demanding job as a minister. There can be no doubt that considerable work and research went into producing this biography, effectively the first such of the Scottish Reformer and original sources were sought wherever possible and many published for the first time. “It affords us very great pleasure to bear this public testimony to the merits of a writer who has been hitherto unknown…and who in his first emergence from the humble obscurity in which he has pursued the studies and performed the duties of his profession has presented the world with a work which may put so many of his contemporaries to the blush, for the big promises they have broken and the vast opportunities they have neglected”. “Here is no putting about the ‘interesting sufferer’ 'the patient saint’ 'the angelic preacher’ Knox is plain Mr. Knox ('Plain Mr. Knox' is the title used by the late Elizabeth Whitley in her acclaimed biography of the Reformer of 1960) and in suffering always a hero; and the story is told as a hero would wish that it would be told - with simplicity, precision and force”. “Although a number of biographies of Knox have been written none has ever approached McCrie’s for its spiritual understanding of this giant among Scotland’s Reformers. Thomas McCrie is one of the best historians Scotland has produced” – John Simpson, Edinburgh University. In the work McCrie goes to considerable depths and time and time again quotes original sources which must have been very difficult to access. Obviously sympathetic to Knox he does not elevate him to a hero more than his life justified and can be at times critical for example of the publishing by Knox of his pamphlet “The First Blast of the Trumpet against the Monstrous Regiment of Women”, directed by Knox against Queen Mary of England, Mary of Guise, Queen Regent of Scotland and Catherine d’ Medici in France but which caused so much, probably unintended, offence to Mary’s half sister Elizabeth and in turn difficulties for Knox. As a member of the anti-burger secession Church which effectively was founded on the principal of complete separation of Church and State he is also critical of the extent to which Knox was willing to work with the legal monarch provided only that the monarch did not step outwith 'natural law'. It is probably fair to say that the publication changed the public perception of Knox who had perhaps prior to publication been generally regarded as something of a rabble rouser, someone who had inspired the mob to needless desecration of religious buildings and icons and had unnecessarily harried and reduced to tears the unfortunate Mary Queen of Scots. What comes across though is a man of reforming zeal, a man of integrity, courage and conviction, a man striving to abolish abuses, promote education (a school in every Parish), but also a very modest man reluctant to push himself forward but also someone always seeking to reform the system from within without unnecessary confrontation until thwarted by the duplicity of the Queen Regent. "Civil and ecclesiastical tyranny are so closely combined, that it is impossible for men to emancipate themselves from the latter without throwing off the former” and “ from arguments about their religious rights, the transition was easy and almost unavoidable, to disquisitions about their civil privileges." As a consequence of his work McCrie was awarded a doctorate of Divinity by Edinburgh University, the first time this distinguished institution had ever bestowed such an honour on a dissenting minister. Sir Walter Scott had a this time just published his widely acclaimed novel “Old Mortality” based on the struggle of the Covenanters. McCrie felt the novel portrayed the Covenanters in a somewhat unfavourable light and submitted a review of the work to the "Christian Instructor" to which Scott responded. It was a very bold move indeed to seem to criticize such a widely acclaimed novelist as Scott, but notwithstanding the general conclusion seemed to be that McCrie fared the better in the exchanges. 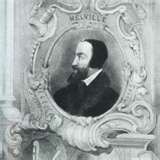 McCrie then proceeded to write a biography of that other great Scottish Reformer, Andrew Melville arguably the true founder of Presbyterianism in Scotland who so successfully built on the foundations laid by Knox. The achievements of Melville not being so well appreciated and perhaps also because he is so little known outwith Scotland this biography did not attract the same general acclaim although the writing of it was probably even more challenging and the work every bit as well researched and well written. In 1821 his wife died after a long period of illness and he himself was beginning to loose his sight. To help recuperate he made a short two month's tour of Europe. This was at the height of the campaign for Greek Independence (a campaign supported by the like of Byron and Shelley) and on his return McCrie spent a great deal of time promoting the cause and became an acclaimed orator in its favour. Memoirs of Mr. William Veitch and George Bryson. (covenanters prominent in the Pentlands Uprising of 1666). History of the Progress and Suppression of the Reformation in Italy. The History and Progress of the Reformation in Spain in the sixteenth century. The History of the Reformation in Italy. It had long been his ambition to write a biography of John Calvin but health prevented him travelling to Geneva to access prime sources and original records but in 1833 he had sufficient confidence in his son John whom he commissioned to transcribe all appropriate material. Unfortunately McCrie died on 4th. August 1835 before the work could be completed and with only three chapters written. He was buried in Greyfriars Churchyard, Edinburgh and was by survived four sons and a daughter.